The SZ11-GW-3 Gathering Gateway is an IoT wireless communication gateway that uses the public network wireless network + small wireless network to provide users with the function of eliminating field wiring and wireless long-distance data transmission. The product uses a high-performance industrial-grade 32-bit processor and an industrial-grade wireless communication module. 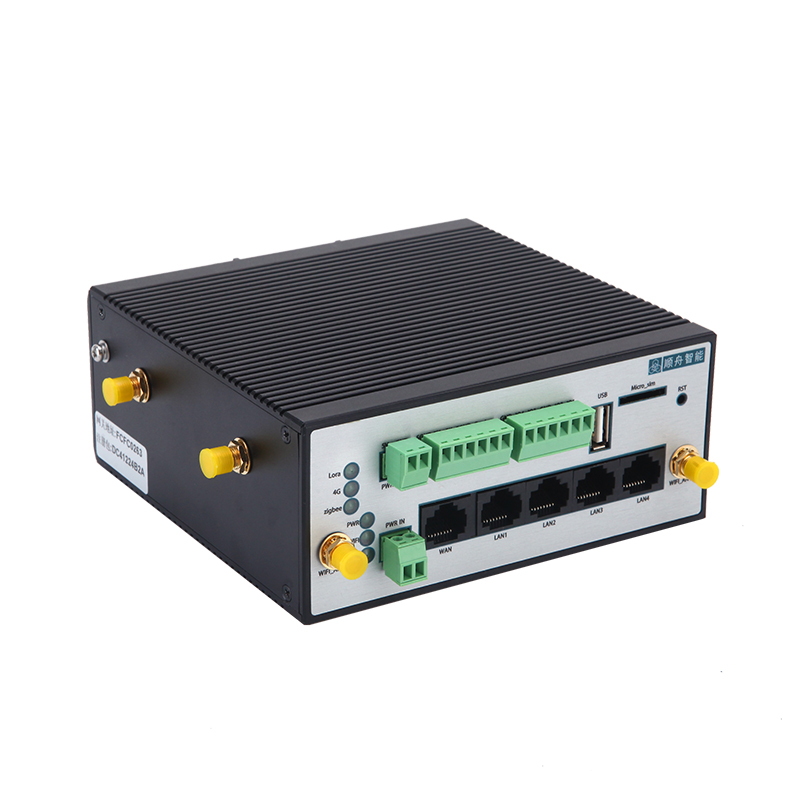 It also provides one serial port (RS232/RS485), four Ethernet LAN ports, one Ethernet WAN port, and supports WIFI as an AP. /Repeater/STA, so you can connect serial devices, Ethernet devices and WIFI devices at the same time, which is a perfect platform for IoT applications. It can be widely used in self-service terminal industry, smart grid, intelligent transportation, supply chain automation, industry. Automation, intelligent building, fire protection, environmental protection, smart medical, intelligent lighting, intelligent agriculture and coal, oil and other occasions. Uplink support WIFI, 4G, network port access to the Internet, multi-network simultaneous online, downlink reservation optional multiple wireless communication, ZIGBEE, LoRa, Bluetooth, etc.